Dietary supplements are products intended for swallowing or absorption that contains either a vitamin, a mineral, an herb or other botanical substances intended to add further nutritional value to the diet. There has been an increase in such supplements because of increased consumer dissatisfaction with conventional healthcare. What Distinguish Dietary supplements From Food? • Not intended as the sole item of a meal or the diet. They are health supplements that help prevent nutritional diseases. The diseases are malnutrition and undernourishment. For example, World Health Organization (WHO) estimates that half of the world’s population is malnourished. Malnutrition: Lack of essential nutrient, i.e. vitamins, minerals, amino acids. Undernourishment: lack of food energy (calories). Dietary supplements are intended to supplement the diet. Therefore, to protect yourself, your body needs nutrients found in foods. 1. Nutrients provide energy and materials for cell development, growth, and repair. 2. You need energy for every activity and for steady internal temperature. It’s manufactured with high-quality ingredients that are potent and bioavailable enough for users. It meets Government recommended daily intake guidelines. Tested and evaluated against composition, bioavailability, safety, and potency was proven with excellent and best result. Vitanature is part of an international organization dedicated to promoting natural and sustainable health. It is a brand committed to manufacturing class of multivitamins that are carefully formulated to give the optimal nutritional value the body requires. Vitanature is a subsidiary of kedi Healthcare that currently offers the African market a wide range of healthcare and longevity products. Since its inception on the 18th June 2006 the company has been unswervingly committed to creating a new world culture of health as an absolute priority for the individual and for the society in general, hence the company’s core lines of business products it distributes and services it delivers. To this end, Vitanature is a brand name and a subsidiary of Kedi Healthcare Industry International. 1. 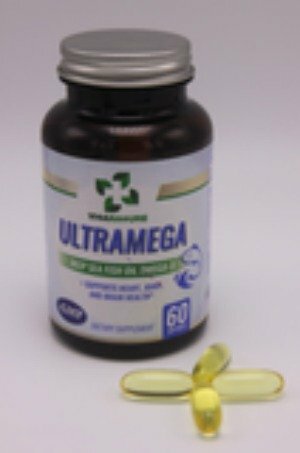 Vitanature Ultramega (Deep Sea Fish Oil): Health benefits are healthy heart, weight loss, improved immunity, anti-inflammatory properties, arthritis, depression and anxiety, eye disorders, Alzheimer's disease, ADHD, skin care, acne, cancer, diabetes, ulcers, fertility, hair care, amyotrophic lateral sclerosis and improve blood circulation. 2. 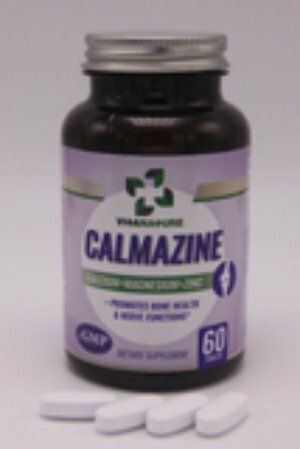 Vitanature Calmazine (Calcium, Magnesium, Zinc with Vitamin D): Health benefits are effective for pregnant women, prevents or manage type 2 diabetes, normal growth in children, strong bones and prevents osteoporosis, reduces blood pressure, regulates body weight and prevent obesity, prevents hypertension, prevents cardiovascular diseases and prevents a migraine. 3. 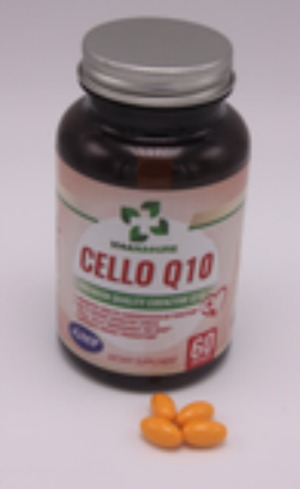 Vitanature Cello Q10: Health benefits are helpful for heart failure and recovering from heart surgery, neurological health and aging, therapy for Alzheimer's patients, and produce energy the body needs for cell growth and maintenance. 4. 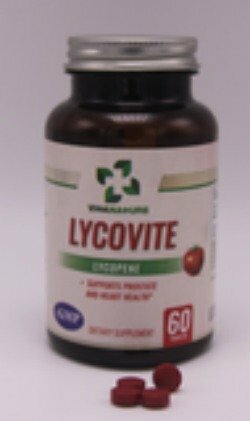 Vitanature Lycovite (Prostate and Cardiovascular Support): Health benefits are heart diseases, infertility, prevent diabetes, prevents age-related macular degeneration and cataracts, prevents aging of the skin, protects your skin from sunburn, and prevent osteoporosis. You can join our Kedi Wellness Business Opportunity team and enjoy life coaching to gain financial freedom. As your business mentor, you will learn from us proven offline and internet marketing skills to do the business effectively. You can order for any of our Vitanature supplements to promote natural and sustainable health. We sell member price to encourage you to open account with N4,000 and enjoy membership benefits. Benefits of cod fish oil: Fish is a very important part of our diet, this is due to its distinctive taste in meals and the fact that it has long been recognized as a healthier alternative source of protein as opposed to red meat. As one of the regular delicacies that is hardly missed from most meals, the soft and succulent taste of fish has made it a favourable food for many. Benefits of salmon fish: Fishes have always been part of human diet, apart from the unique taste that it adds to meals, eating fish also provides a wide range of nutritional benefits. In this part of the world. One of the most consumed fishes are salmons, they are used in the preparation of many local delicacies from soups, stews and the famous jollof rice. Cell regeneration supplements: Have you ever wondered how people grow, what really happens that brings about the changes in body size and weight that occurs from childhood to adulthood, up till old age? The developmental changes that underlie this whole processes is a product of cell regeneration. Coenzyme Q10 supplement contains coenzyme Q10 which is an essential component of practically every cell in our bodies. This component is largely responsible for the functioning of cells and the energy to power all our muscles and organs. It’s also known as CoQ10, ubiquinone, or ubiquinol. We hold about 2g of it in our bodies at any given moment, the bulk of which is concentrated in our hearts. Diseases caused by poor diet: The popular saying “you are what you eat” is much more than just a cliche, but it is a very practical fact. Our body is designed to work as a huge metabolic engine, and much like every other engine, it requires a fuel or power source, the body’s fuel is food. Make money from home herbal business: The internet age has brought a whole world of information to our fingertips, many people can now make well-informed decisions about their health by choosing what works best for them. With the spread of so many deadly infectious diseases, the dishonest pursuit of profit by some pharmaceutical companies, and the growing awareness of how the human body responds to medicines, people are now finding a more suitable alternative in herbal medicines as they are seen as being healthier and safer. Magnesium supplement benefits: The complexity of the human body requires that it gets a regular supply of several nutrients. These nutrients mostly comprise of macronutrients which are needed in large amounts and they include iron, potassium, calcium, etc. There is also another nutrient element that falls into this category which has not really been accorded proper attention in most diets, and this is magnesium. Red blood cell supplement is vital for our wellbeing because red blood cells are the most numerous cells in the body; they constitute about 75% of the total blood content and are responsible for the characteristic red colour of blood. Sardines nutrition: maybe cooked with noodles, in a soup or mixed in tomato sauce and enjoyed with bread. Whichever way you like it, sardines have become a delicious choice for many and it has even become a more common meal with its availability in canned containers. Wellness Company: Kedi gave birth to the expansive idea of launching a new healthcare line called Vitanature. Vitanature is part of an international organization dedicated to promoting natural and sustainable health. It is a brand committed to manufacturing class of multivitamins that are carefully formulated to give the optimal nutritional value the body requires. Wellness training program to enjoy good health and gain financial freedom. Modern society has presented us with so many opportunities, most of which are very glaring for all to see but are still missed by those that are not paying keen attention to the trends. In this article, we will be exposing one of such opportunities. Zinc supplement benefits and side effect of its deficiency in our body system. Our body requires a combination of several nutrients to function properly. Most of the serious health challenges that people face today often have their root causes from an acute shortage essential body nutrients.